So you’re looking to build a marketing app for your company? It’s not a bad move, since the audience is shifting to mobile apps, and you and your company would be well served to gain experience in mobile. Being in a social agency for the last 7 years, I can’t tell you how many companies hold back for too long, then try to jump in at the last minute. The result is that their efforts are an embarrassment for their brand. It’s better to get little chunks of experience along the way, and then grow from there. One of the first apps that companies such as Chanel, Audi, Ericsson, Cisco, and Oracle tend to create is a marketing and branding app. Plain and simple, it allows your customers and prospects to receive company information via a mobile app custom-created for your company. One of the favorite categories users enjoy is video. It’s also one of the best selling opportunities, but to make it effective, you need to think through user interaction and how you’re going to move them where you want them to be. – News: Your latest press releases. – Products and Solutions: Information about your products, solutions and services. – Events: Upcoming trade shows, lectures or webinars. – Podcasts: Some users like to listen while driving, working out ,or doing other activities. – Videos: Highlight your expertise by teaching your audience something new. – Twitter: Allow your users to spread the word for you. – Feedback: Your users can let you know how you’re doing and you can adjust your app accordingly. – Increase sales. 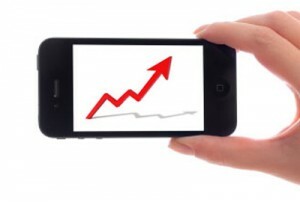 Your app can become a powerful selling tool to drive sales and improve brand perceptions. – Increase Marketing Return On Investment (ROI). If you are creative and execute well, you can get a great return on investment. IBM created a marketing app with their agency that provided a 1:156 ROI. – To visit a mobile site regularly, users previously would have to remember and enter your mobile URL (which is not going to happen). With an app, you make your information easily accessible as your company occupies a spot on their launch screen. Someone who is a prospect might want to know more about you, so by making it easy for them, they’ll learn more, which can drive their decision in your favor when the critical moment arrives. – You can leverage the power of video to sell your company. Nothing is more powerful than a well-crafted video, and in this case, mobile video is optimized for the user’s device for a positive user experience. After all, if a filmmaker can change the world with a well-made film, you can guide your prospect’s perceptions of your company with a well-made video. The direct, visual nature of video provides an excellent opportunity to communicate the unique message and experience of your brand. – An app makes you relevant. Studies have shown that interactive features improve brand perceptions (e! Science News). When I go to a corporate site, if they don’t have any interactive features (Twitter feed button or share buttons) I perceive them as a dinosaur. On the other hand, I remember being very impressed with companies that had a mobile app downloadable from their homepage, even though I never downloaded the app. – An app can push alert notifications to your users, informing them of events, new products or services, or other relevant information. – An app can become a hub for communicating with your target audience. – You can always add to your app. After you get it out there, you can always add an ecommerce module, a GeoSpatial app, or whatever else you can think of. 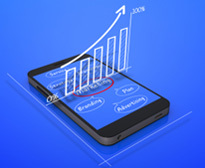 – You can reference your app in your advertising, creating a solid connection with your audience. Suppose you’re running a TV ad campaign. We’re now seeing brands refer to their app, rather than referring to their website. When the purchase opportunity arrives (launch date), you can alert your customers and put them into a purchasing transaction, right on their mobile device. The nice thing about sending people to your app is that you own and control it, whereas you have less ownership and control on a social website. – Leverage time by getting out there early. Unless promoted by advertising, apps tend to be a “long tail” phenomenon, meaning that they acquire audience by being out there (over time) and being discovered. With proper optimization, you can gain thousands of loyal fans per year, just by having the app available for building your audience. In this way, an app works well with SMS and email marketing, and the app can drive opt-in subscribers. Building your base early will always serve your brand well.